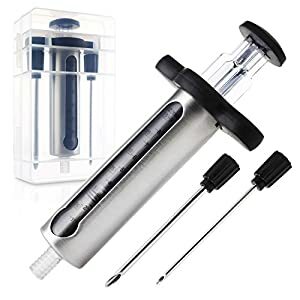 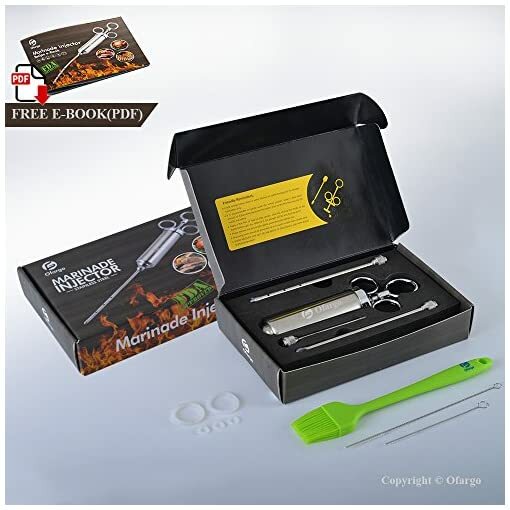 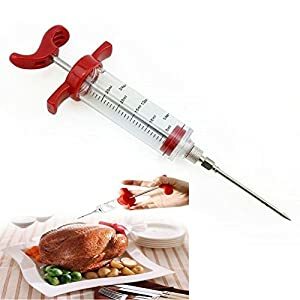 Meat Injector 100% food-safe materials, easy to use and clean (dishwasher safe), heavy duty kitchen/BBQ/grill/roast tool. 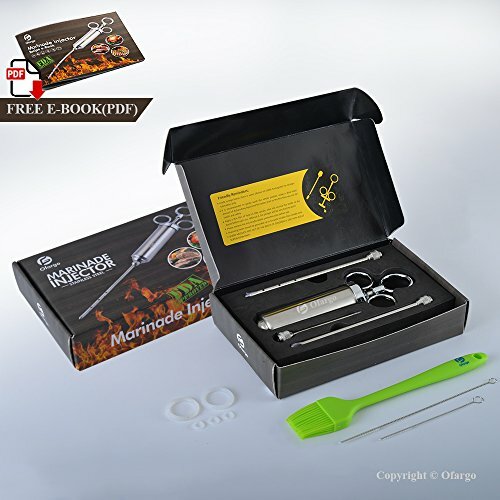 100% food-safe materials, easy to use and clean (dishwasher safe), heavy duty kitchen/BBQ/grill/roast tool. 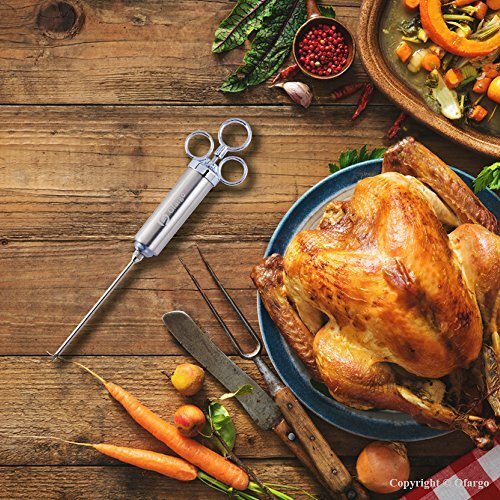 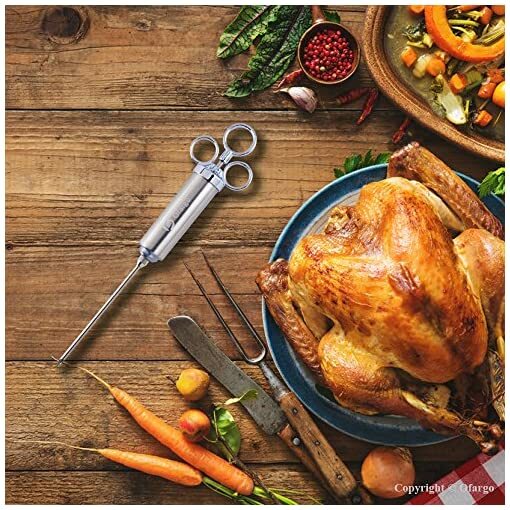 All materials pass FDA test: 304 stainless steel for syringe barrel and turkey needles; zinc alloy for handle and injector top; BPA-free silicone for basting brush/O-ring seals. 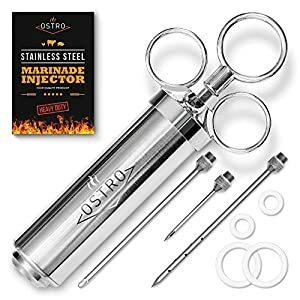 Show your secret seasoning recipe, start right now with our meat injector to provide a delicious grill smoked meat or turkey. 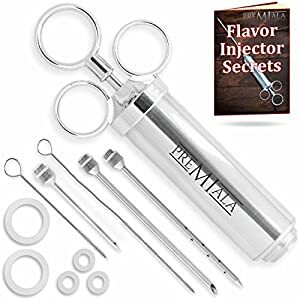 ✅【Juicy, Tender & Yummy for Every Bite】our food injector is solidly built to last to intensify flavors of Thanksgiving / Christmas turkey, beef brisket, pork butts, lamb, chicken, goose, duck; inject jelly / pudding into donuts, rum into strawberries, brine into home-cured meats; practical for kitchen tools, holidays, BBQ, smoked grill, family party, bonfire party! 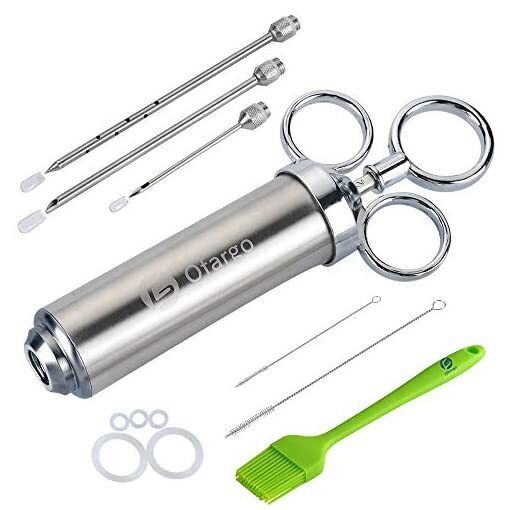 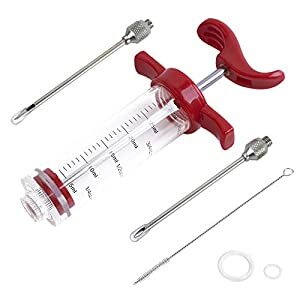 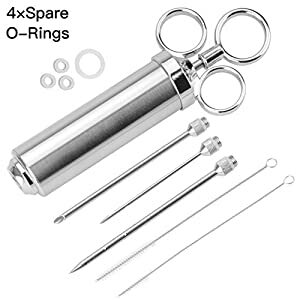 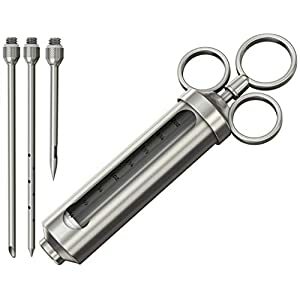 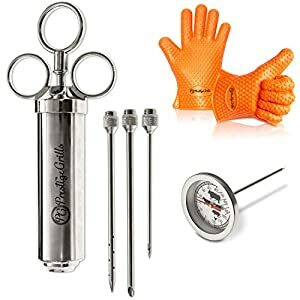 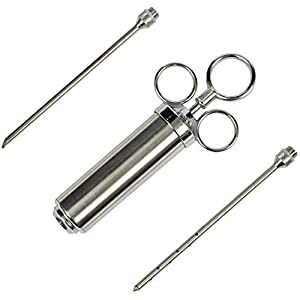 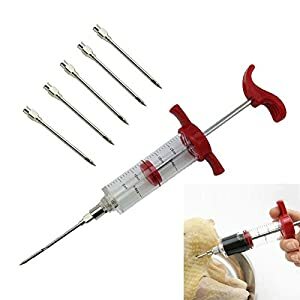 ✅【What You Get】1x 2-OZ large capacity flavor injector barrel; 3x meat needles; 5x spare syringe silicone O-rings; 2x cleaning bush; 1x silicone BBQ basting brush; 1x EVA box for safe and convenient storage; friendly customer service and a 100% Unconditional Money-Back Return Policy;KEEP OUT OF THE REACH OF CHILDREN!